Whats app buyer Chat is excellent plugin for chatting between buyer and seller. 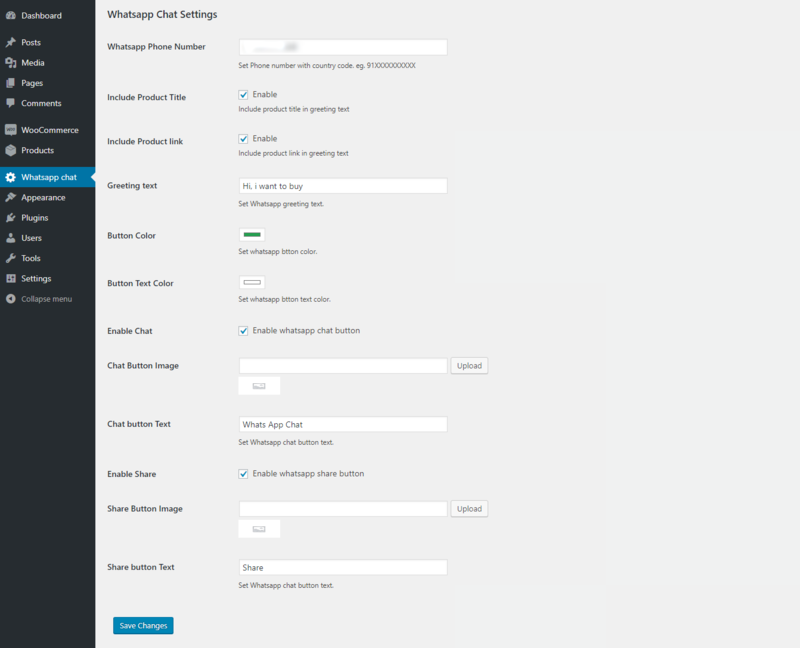 Woocommerce whats app buyer chat plugin allow buyer to communicate directly to the admin and get instant reply on whats app from the admin.Buyer have option to chat on product details page and share option is also there. 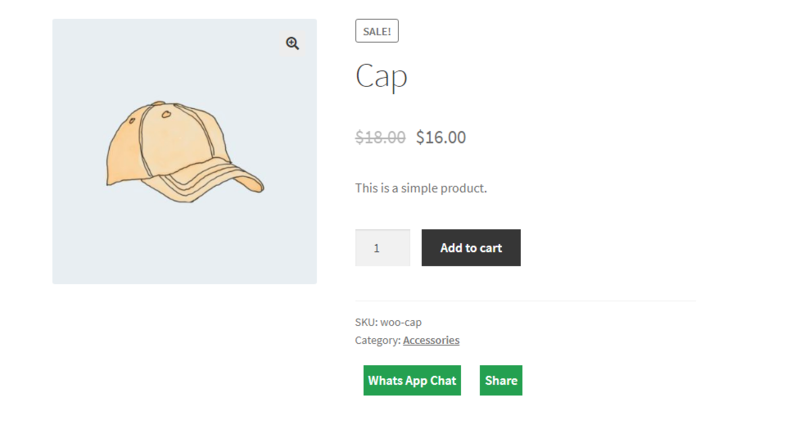 Woocommerce Whatsapp Buyer Chat plugin has option to sharing product. Admin can set Whatsapp greeting text for message. Admin can set image for chatting and sharing button. Seller can enable or disable chat and share button.